The most efficient type of natural gas boiler is the condensing boiler. A standard natural gas type boiler without condensing will lose much of its heat to exhaust which goes right up the chimney, so you are pretty much throwing money right out of your chimney. With a high efficiency condensing boiler, more of the heat produced during combustion is transferred to water in the boiler by way of condensation of the water vapor produced during combustion. 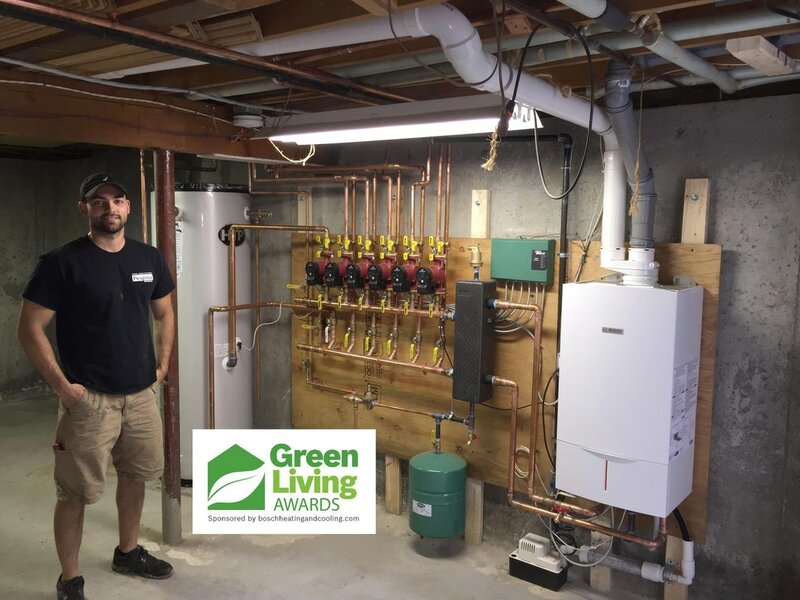 This latent heat recovery can allow boilers like the Bosch Greenstar Models to have efficiencies of 95% AFUE (annual fuel utilization efficiency). Pespisa Co is an Accredited Bosch Contractor which gives our customer an additional 1 year warranty direct from the manufacturer. Lower the temperature on the thermostat at night and when nobody is home, or have a programmable thermostat installed. Lowering the temperature just a few degrees at times when you are not home can decrease the load on your heating equipment drastically which will save fuel and money. Make sure the storm windows are closed when the heat is on. Out of an entire house the heat-loss through the windows is typically the greatest. The reason for this is the easy path which the heat takes to pass though the windows. The first path is through any cracks or seals which are not tight. The second path is the warm air on the inside of the house touches the window.